1. Additional conformance and certification requirements to remove ambiguities and close loopholes in the existing certification process. 2. Minor clarifications and additions to clarify language and improve the usability of SCORM 2004 Simple Sequencing. 3. 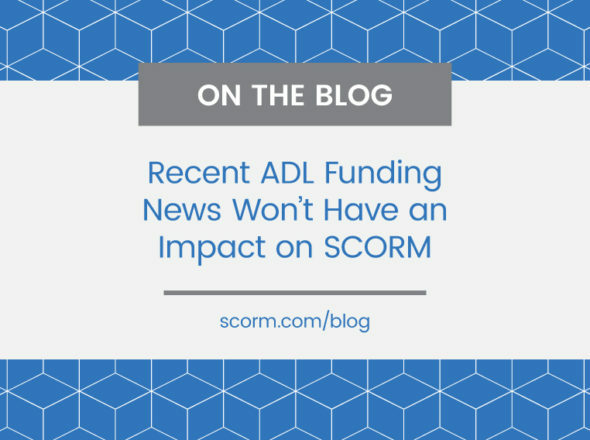 Harmonization of ADL’s additions to Simple Sequencing for SCORM with the core underlying IMS Simple Sequencing specification. Changing a specification always incites a bit of controversy. There are those who say that change is inevitable and that progress requires change. On the other side are folks who insist that specifications are meant to be stable and that constant change renders a specification useless. Both sides make valid arguments, however in the case of SCORM, I fall squarely in the former camp, progress requires change. Don’t get me wrong, it is hugely important for a specification to be stable…and SCORM is. The basics of SCORM haven’t really changed much since its inception. SCORM 2004 tightened things up from SCORM 1.2, but the core concepts remained the same. Sequencing was a big addition, but not a fundamental change, nor a requirement for the content developer. The two Editions of SCORM 2004 have been even less dramatic. The Editions are essentially service packs to the specification. They tighten things up, clarify ambiguities, remove errors and increase interoperability…but they don’t change anything that is core to the specification. No specification is 100% perfect or complete. Implementing a specification requires some degree of reading between the lines and inference to implement the authors’ intentions rather than just the bare minimum required to pass the conformance tests. The changes in the Editions of SCORM 2004 seek to make explicit what was once implicit…and that is a very good thing for interoperability. Products that implement the intent of the specification from the start rather than just the letter of the specification rarely will have a problem updating to a new Edition. It is the products that, to put it bluntly, took the lazy way out the first time that might struggle. Bear in mind that the Editions of SCORM typically only require changes to LMS’s. Content by and large is unaffected. Part of the genius of SCORM from the beginning is that is puts what I call the “burden of complexity” on the LMS rather than the content. The relatively few LMS products are much better equipped to implement and handle change than the thousands and thousands of individual content items. There are those who talk of avoiding adoption of SCORM 2004 until it is “done” and “stable”. In the world of technology, when something is done and stable, it is also obsolete. Windows 95 is done and stable. Many people won’t implement a Microsoft product until after the first service pack is issued (probably a very good idea with Vista), but after a service pack or two is out, the technology is ready for wide adoption. Even though an operating system or application receives constant updates and occasional service packs, it is stable and useful. SCORM 2004 has two service packs so far and ADL is working on Service Pack #3…it is stable and useful. It is possible to be both stable and progressive and SCORM is. When 4th Edition is released, it will be two years after the release of 3rd Edition. 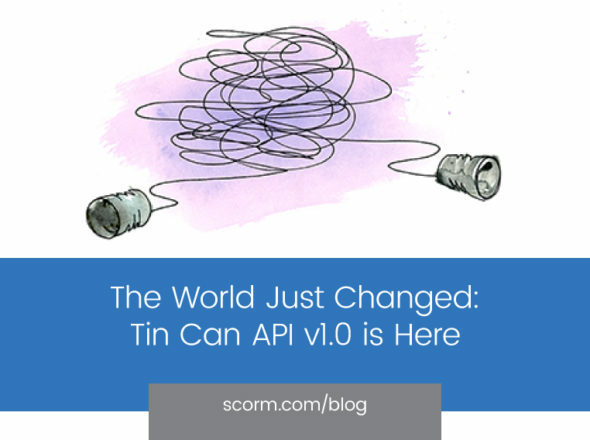 There’s early talk of a SCORM 2.0, a radical update and restructuring to take advantage of how technology has evolved over since the original inception of SCORM and its underlying specifications nearly a decade ago. 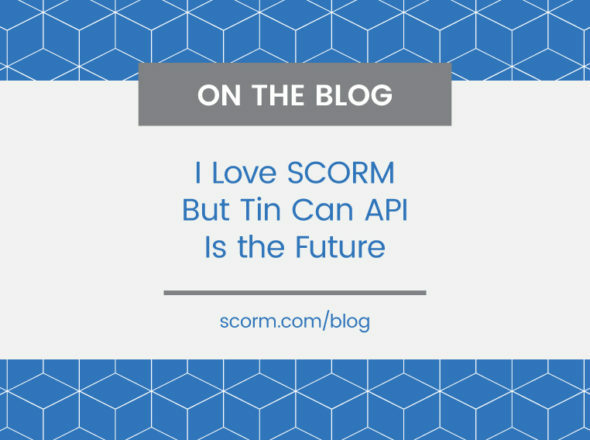 SCORM 2.0 isn’t scary…not any more so that the new standards for HD DVD or Blu-ray…it’s a natural progression as technology evolves. It may be helpful to think of SCORM as a brand name for e-learning content interoperability rather than a specific standard, just as DVD is the brand name for video disk interoperability. A quick look at the latest and greatest Blu-ray / HD DVD player from Best Buy shows that its capable of playing at least a dozen different DVD formats (go to Wikipedia and you’ll see even more underlying standards). Similarly, your LMS (a.k.a. your SCORM player) should be just as capable of delivering the various versions and editions of SCORM. As a content producer or consumer, it shouldn’t matter what standard you use, the player should just handle it. Your VHS tapes probably still work and you can even still buy a VCR. SCORM 1.2 still works and you will be able to buy SCORM 1.2 conformant products for a long time to come. You are always free to continue to use both technologies, just don’t hold the rest of us back. Just like you would expect different results from the $30 DVD player at Wal-mart and the $1,000 DVD player at Best Buy, there will likely be differences in the performance of LMS systems. It is ADL’s job to minimize those differences while still enabling the advance of technology. It is a hard job and a difficult balance, but so far, they are doing a great job.